City, State you reside in: Park City, Utah. Favorite place to snowboard: Park City Mountain Resort. 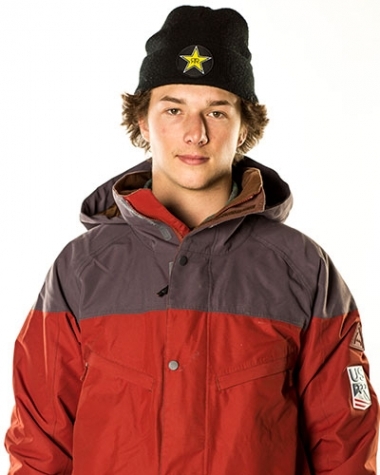 Sponsors: Rockstar Energy, Volcom, Electric, Adidas, Union, Celtek, Stance, Vail Resorts, Wend Wax. What’s on your IPOD playlist? Any and everything by the ASAP Mob. When I’m not snowboarding I like to: Surf and travel. Something that most people don’t know about you: My deep love for sushi. Career History. How did you start snowboarding? I started snowboarding to follow in the footsteps of my dad and brother. Also, because I loved to skateboard and thought it looked similar. Career Honors, Awards, and Highlights: 2x national champion in Halfpipe. Silver medalist at national championships in Slopestyle. Bronze medal at Volcom’s Railjam Championships. 4th at World Rookie Tour Finals. Forerunner at the Los Angeles Air & Style.